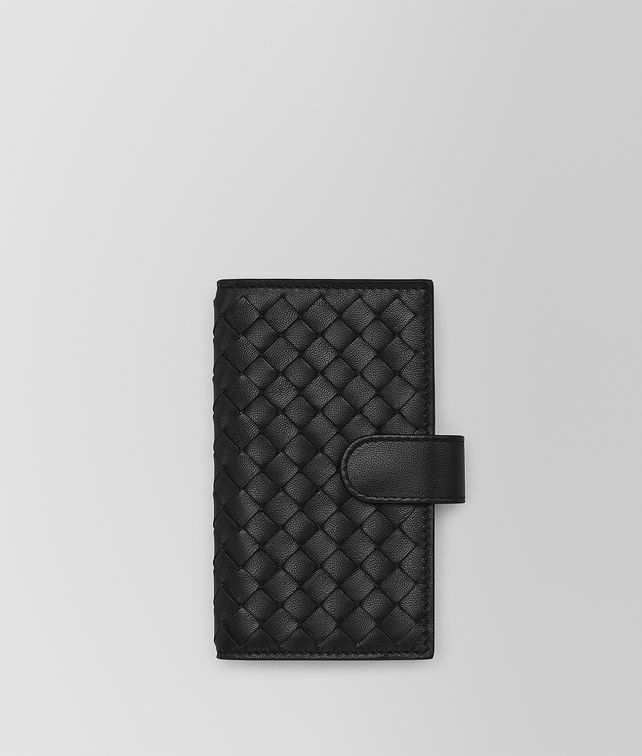 Bi-fold key case, entirely crafted in nappa leather with trademark intrecciato woven panels. This modern and practical design features 5 rings, one larger loop and 2 card slots. The small flap and snap button closure help improve capacity, making the case also ideal for bulkier car or door keys.